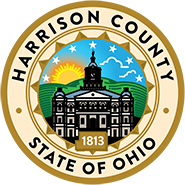 The Harrison County Auditor is required by Ohio law to inspect commercial devices used in retail trade for weighing and measuring in his jurisdiction. This includes scanners and retail scales such as computing, point of sale, hopper, grain, counter, vehicle, also checked are liquefied petroleum gas meters and fuel dispensers. New or used devices that are placed in commercial use for the first times are checked to see if the device has been evaluated under the National Type Evaluation Program (NTEP). This program evaluates commercial devices to make sure that they comply with the applicable technical requirements of Handbook 44. If a device is found to be inaccurate, the Auditor, through his inspectors, can reject the device, condemn the device, or in extreme cases confiscate the device. In Harrison County, approval seals are affixed to devices to indicate whether they were passed or rejected. This is done primarily for the benefit of the public to show that such equipment has been officially examined and approved.